Written by Electric Piquete Ed Rosado – drums and percussion / producer Michael Mut – bass Chris Correoso – guitar Rich Dixon – trumpet Raymond Ayala – congas, percussion Pepe Montes – keyboards Guillermo Roig – tenor saxophone Jose Miranda - trombone Recorded, mixed and mastered by Ferny Coipel at the Shack North Studio and Rehearsals, January – March 2015. The song was inspired by the legend of Jose Marti riding into battle and mortally wounded, staring at the sun as he lay dying. It is dedicated to the memory of the 41 innocent men, women and children who lost their lives aboard the 13 de Marzo tugboat off the Havana harbor on July 13, 1994. 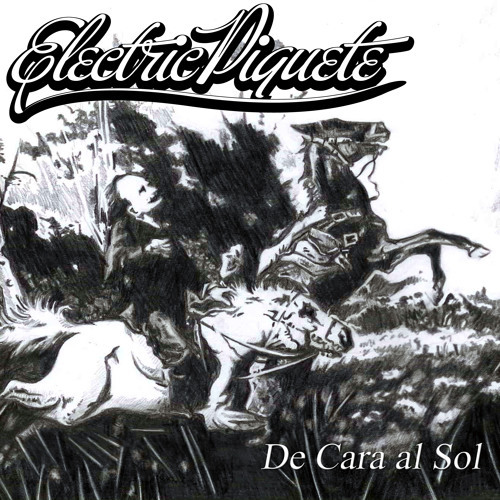 Learn more about the band here: www.ElectricPiquete.com. Purchase your copy here: http://bit.ly/EPDeCarai. Illustration by Gonzalo Montes de Oca - www.crush-interactive.com. *This track was originally released March 13, 2015.